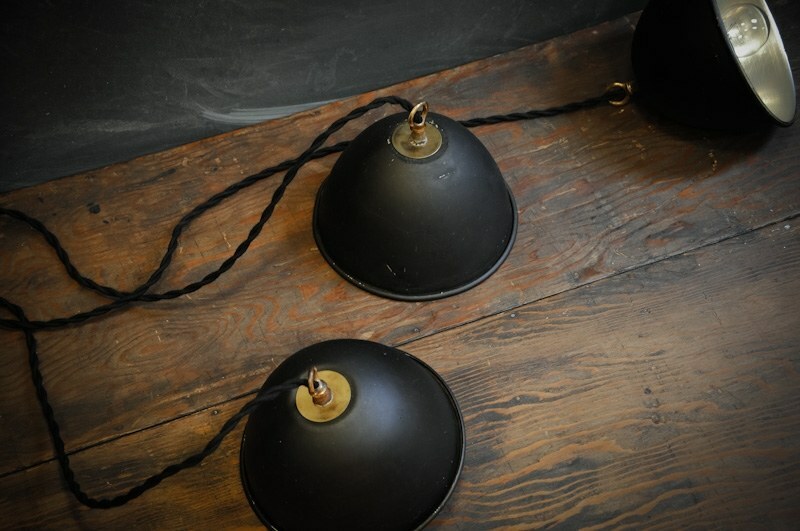 Europe, 1950s, Vintage Petite Dome Pendant Hanging Lights. 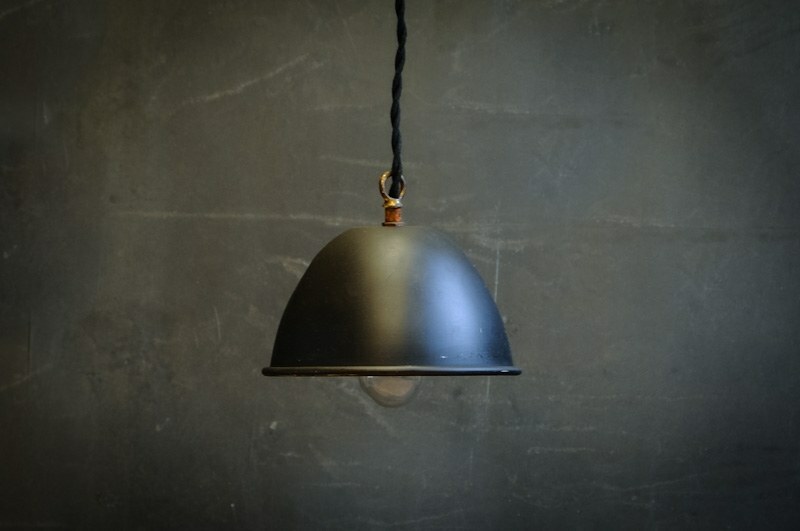 Spun Aluminum Shade with Semi-Matte Black Time Worn Finish. Patina'd Brass Topper and Eyelet. Fully Rewired with UL Sockets and 3' of Braided Cloth Cord. 12 Available. 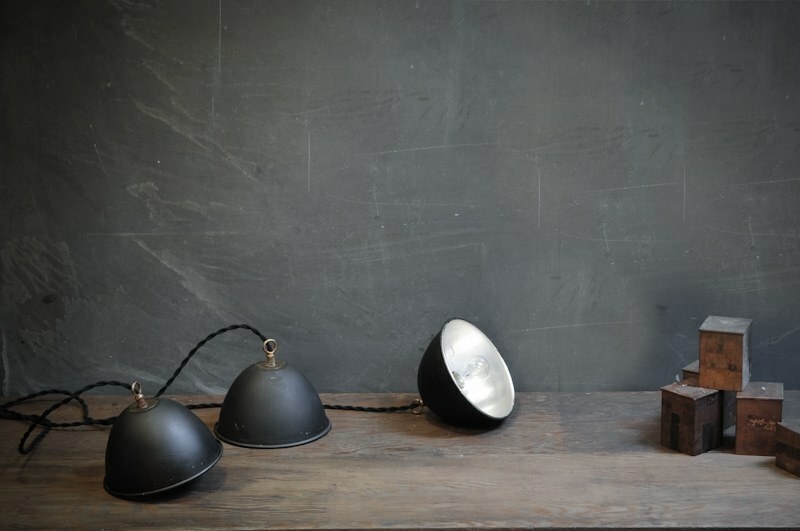 Dia: 7 in. H: 7 in.